leadership speaker. author. millennial ceo. 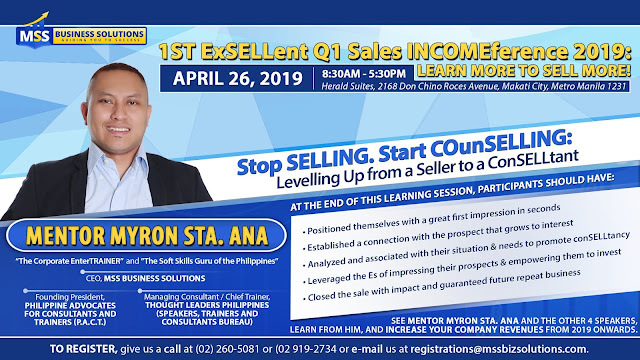 Marlon Molmisa is the Founding President of Mzone Training and Chairman of the Elevaxion Inc., a non-profit organization that discovers and develops servant-leaders and public speakers. 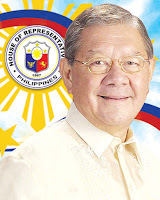 He a recipient of the SARANGJE Integrity Award of Pasig Student Consumers Cooperative, University Leadership Award and Socio-Civic Award of PLPasig in 2011. He received a certificate on Social Entrepreneurship and Youth Leadership from Ateneo de Manila University- School of Government. He has pioneered several businesses in various industries such as retail, distribution, gas and oil, health and wellness, publishing, marketing and construction. In 2010, he served as a member of the Pamantasan ng Lungsod ng Pasig Board of Regents. 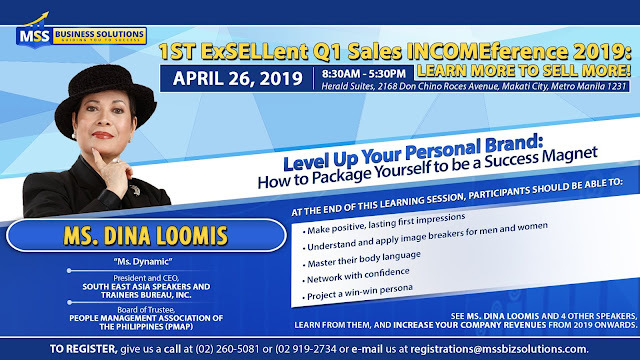 He is the author of inspirational books, “Ang Mahalaga Bumangon Ka” and “The Game Plan of the Underdog.” He is also a licensed professional teacher who is now maximizing his purpose in training and public speaking. Learning the 8 great habits to build an influence and long-lasting impact. Creating wise decisions and bouncing back from failures in the 5 areas of life. Treating your work as a calling, not just to earn but to build a legacy. Bringing the employees from selfishness to selflessness is the key objective of this program. Sharing the practical tips on how to earn profit from speaking and book writing. 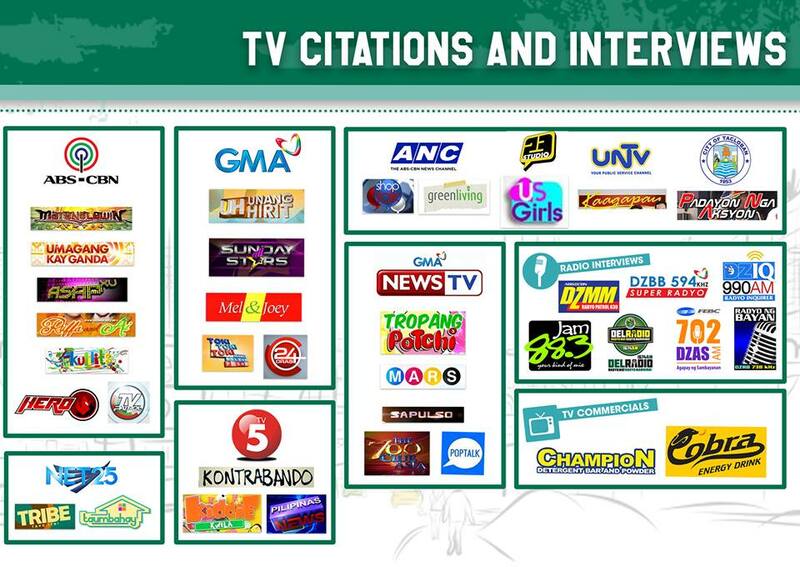 A Filipino-themed, fun-filled program for any kind of organization with a multi-culture and multi-generation audience. He has been serving more than 300+ organizations since 2012 through various kinds of learning events such as soft-skills workshops, in-house training, team building and books publication. 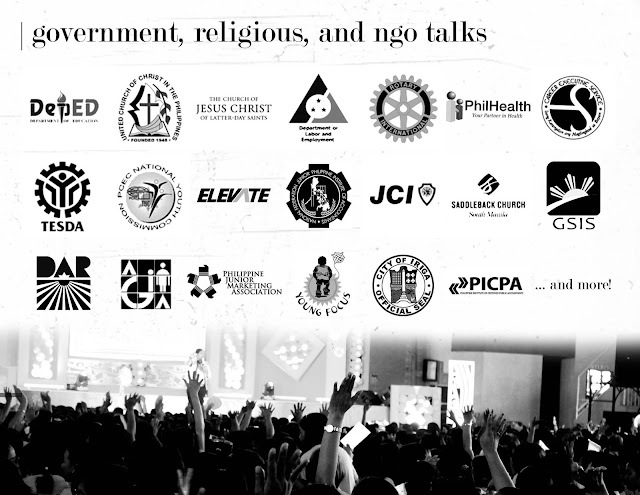 Founded Elevaxion and mobilized volunteers from 9 locations in the Philippines (and counting) to build a non-profit organization for servant leaders and speakers. 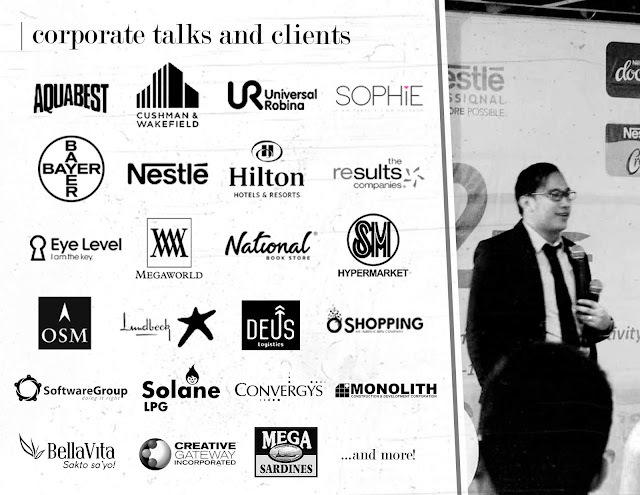 Pioneered and developed several businesses under the BGM Corporation in terms of marketing and operations. These businesses are from various industries such as gas, health and wellness, construction, publication, and general services. From 8 volunteers, it grew to more than 200+ volunteers in a span of 2 years. 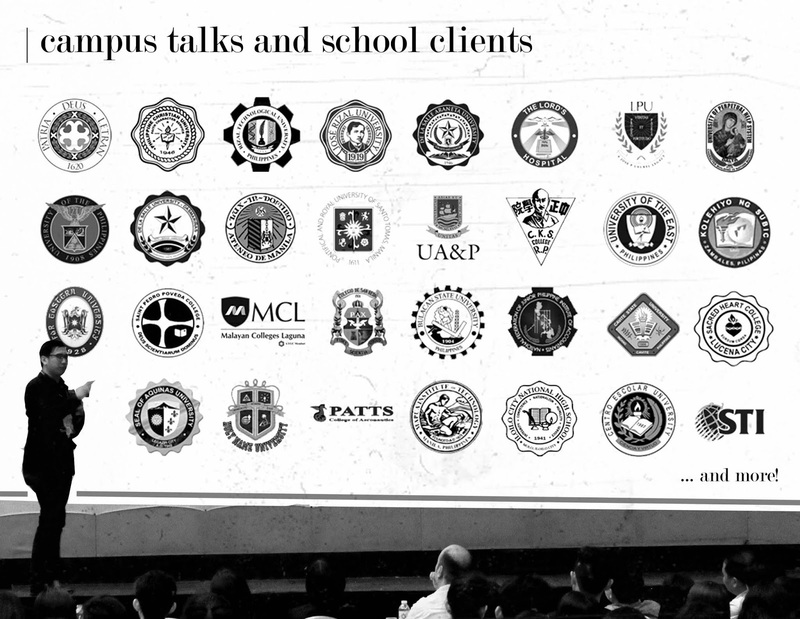 JK Project were able to reach far flung places in Rizal, Quezon Province, Tarlac, Tacloban and part of Mindanao to bring educational support to indigenous people. Initiated four (4) approved resolutions regarding students’ rights and privileges: (1) Voluntary purchasing of university and college shirts; (2) Optional joining during non-academic related tours; (3) Permanently including the students’ insurance in the University’s budget rather than getting it from the students through the student council’s budget, and (4) Making the student council officers as scholars of the university. Pamantasan Supreme Student Council Inc.
By God's grace, Marlon received a landslide vote from all colleges in the university. Marlon founded a Christian student organization when he was in college. It's where his foundations in leadership were established. Looking for an effective facilitator for your corporate workshops and team building? Mzone Training will definitely help you grow as a person and as a team! 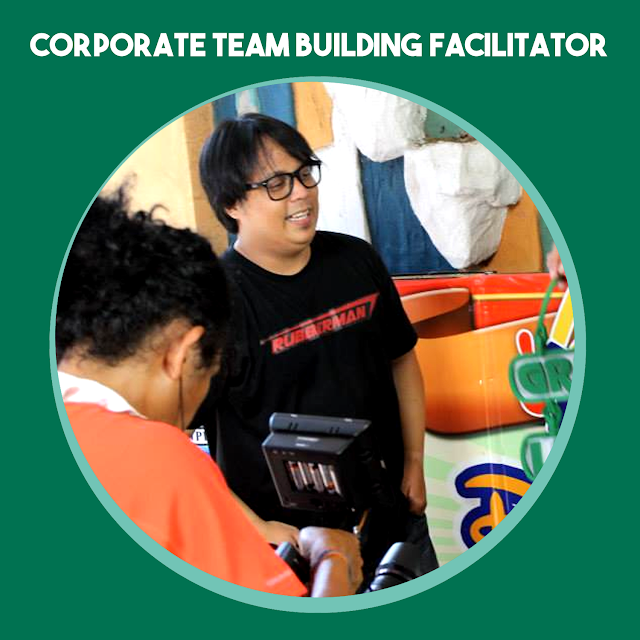 We have seasoned team building facilitators for corporate and other organizations. Our core message revolves around volunteerism and 'malasakit' (compassion) which every member of the companies and organizations should have to grow individually and as a team. 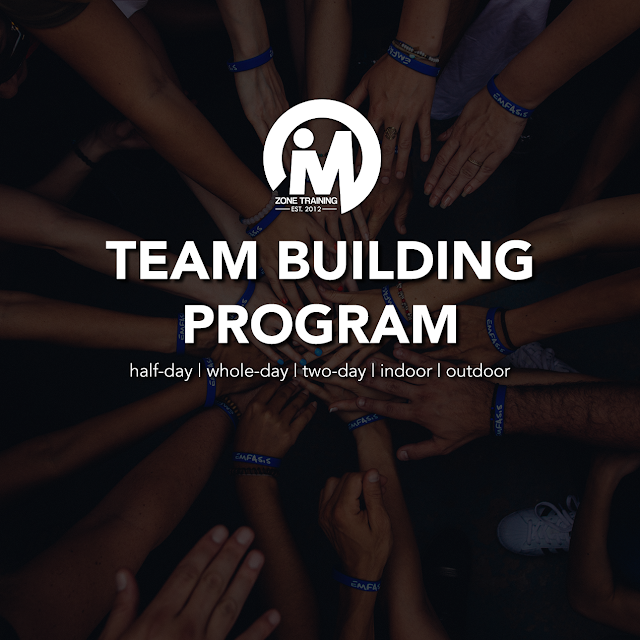 Team building activities are often overlooked, but appropriately designed team building facilitation can bring results and boost the performance of your organization. 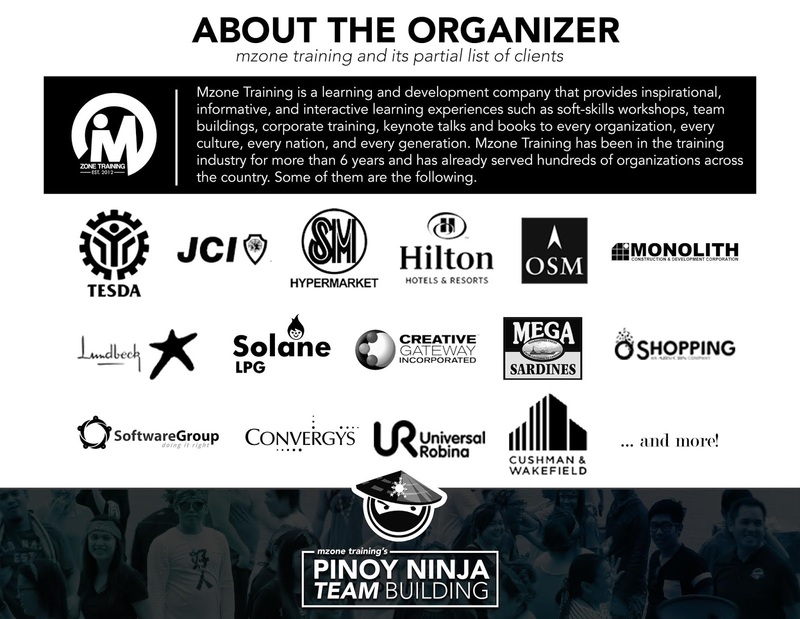 Mzone Training is a credible team building provider in the Philippines that can customize a team building program that can address the needs of your company. Team Bonding - this is for those organization that just wants to network, socialize, and have fun. Team Building - this works best to starting organizations that do not have a team yet and would want to build their people. Team Alignment - this is needed for those organizations that have internal conflicts and concerns that needed to be addressed through the activities. Team building activities can be instrumental to bring growth to a company. 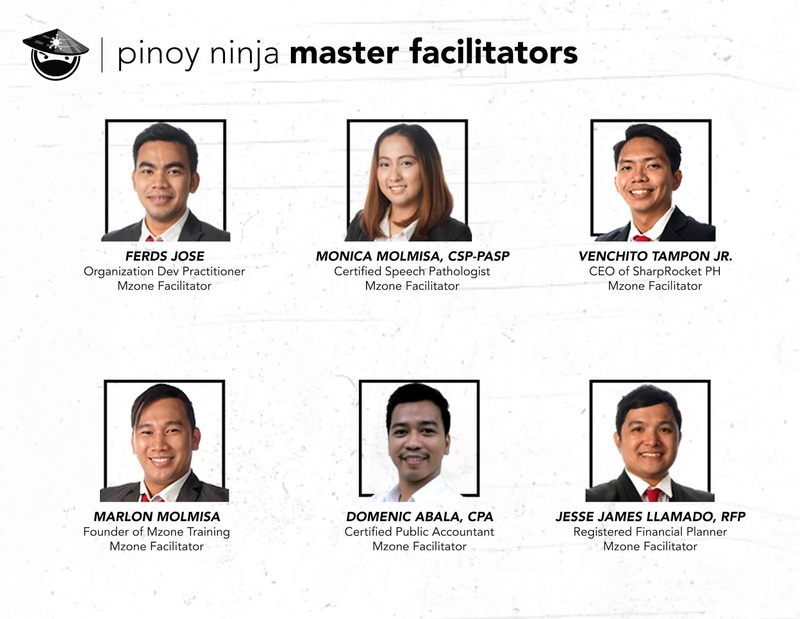 Mzone can offer our signature team building program, Pinoy Ninja. It is a Filipino-themed and fun-filled program that aims to instill values such as camaraderie, communication, and commitment through Pinoy games. Initial Interview - Mzone determines the vital information such as the audience profile, the goals of the team building, and the non-disclosure information (those information that the company would not want to disclose during the activities). Program Proposal - Mzone sends an initial program to the client. If interested, the client can set a meeting. Meeting - Mzone can meet the client in person or through online. This is when the program is finalized. Final Program - Mzone sends the final program to the client. Program Execution - Mzone executes the program properly to ensure that the participants are safe and are having fun. Post Report (Optional) - The client can request a post-report and Mzone recommends followup programs that will be helpful to the organization. His craft was recognized in the country as the "Rubberman of the Philippines." In fact, he was hailed as the 2011 Best Innovative Employee of Metro Manila, 2011 Ten Outstanding Employee of Metro Manila, 2011 Most Outstanding Public Servant in Administrative Support of Marikina, 2012 Cobra Pinoy Hero Awardee, 2013 Model Employee of Marikina, National Awardee of the 2014 Most Outstanding Volunteer of the Philippines, 2015 Tapat Dapat Modern Day Heroes of Champion Detergent Soap, and recently the Genry Lopez's Bayaning Pilipino 2016 of ABS-CBN. Literally and figuratively. He loves challenges! It is the only way for a person to get out of comfort zone and reach for his/her highest potentials. It requires a lot of energy to trust the uncertain future. That power is called faith. Faith is the inner value of Mark Cerezo. Ever since was a child, his creative juices flow like a river through his veins. That's the reason why he was able to create toys out of the things that were about to be thrown in the garbage. He transformed pieces of colorful scrap rubbers into a magnificient 6-feet tall mascot Optimus Prime, the main character of the movie, Transformers. He has already created more than 50 robot mascots, most of which won major prizes in cosplay competitions. His creativity is the same when it comes to leading people. He believes in 'creative leadership' to win the vision through collective effort. Regardless of cultural background, respect binds the team together. This is how Mark works. This is also the message he wants to share in every organization. With his unique style, people will surely have fun and enjoy learning in every activity. He's able to touch the introverts and extroverts with his life changing programs. People cry. People laugh. People get angry. People forgive. Mixed emotions are always the trademark of his team building facilitation. You will surely never forget him because he can create a huge mark in your heart. 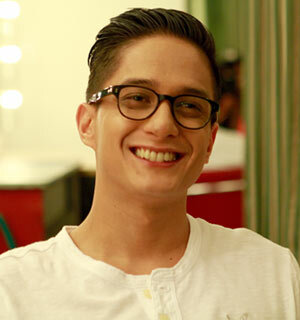 As the industry gets amazed by his innate talents, he is also ready to empower you! Come and experience how he trains to bring an impact to the world! 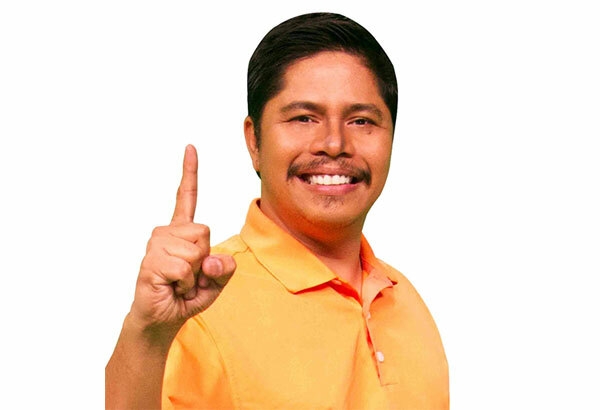 "Huwag ka nang dumagdag sa problema, mas maganda ay kasama ka sa pagtulong sa solusyon, kaya itong si Mark David Cerezo kasama ang kanyang Pinoy Malikhain ay certified bayaw para sa bayan." "More than showcasing his exceptional talent, his hands further flex to bring hope and inspiration to the youth through his various activities." HOW TO INVITE THE MZONE TRAINING TEAM? Email us at mzonetrainingph@gmail.com or contact 0927 497 5285 | 0906 211 7256. You may also directly fill out our contact form below. Let's talk about your upcoming Team Building. Take your group to the next level! 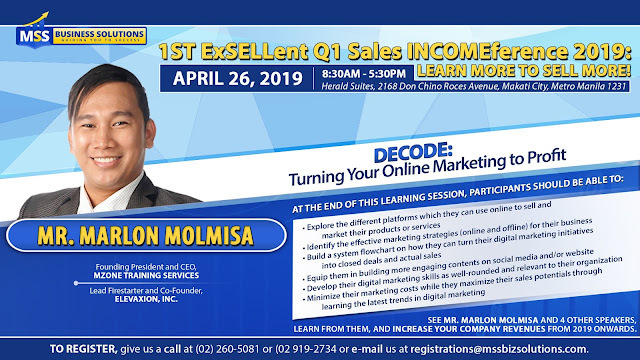 MARLON MOLMISA is an emerging leadership and corporate speaker who has been in training and people development industry for more than 7 years. He is the Founding President of Mzone Training, awarded as one of the best workshops providers in the Philippines (2013). He is also the Lead Firestarter / Founder of Elevaxion Inc, a non-profit organization for servant leaders and speakers. Since 2014, Marlon has pioneered and developed several businesses across the Philippines from various industries such as health & wellness, gas, retail, construction, publication, and general services. DOWNLOAD MARLON'S PROFILE: Download here! 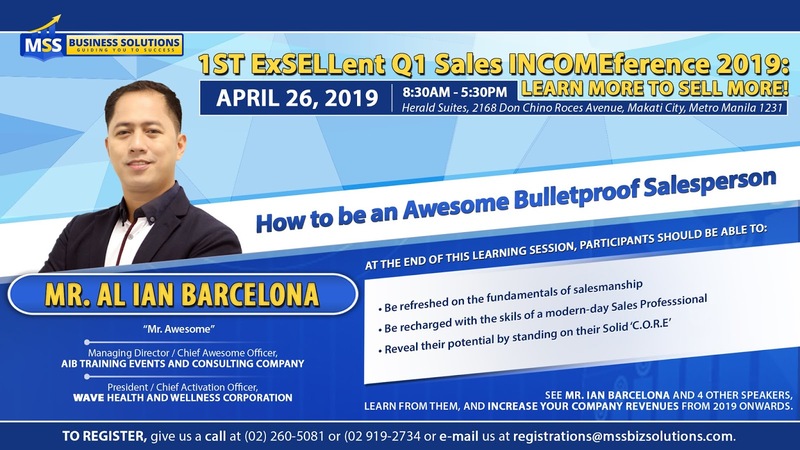 He's not just an inspirational speaker, but also an trainer who combines substance and the art of public speaking. 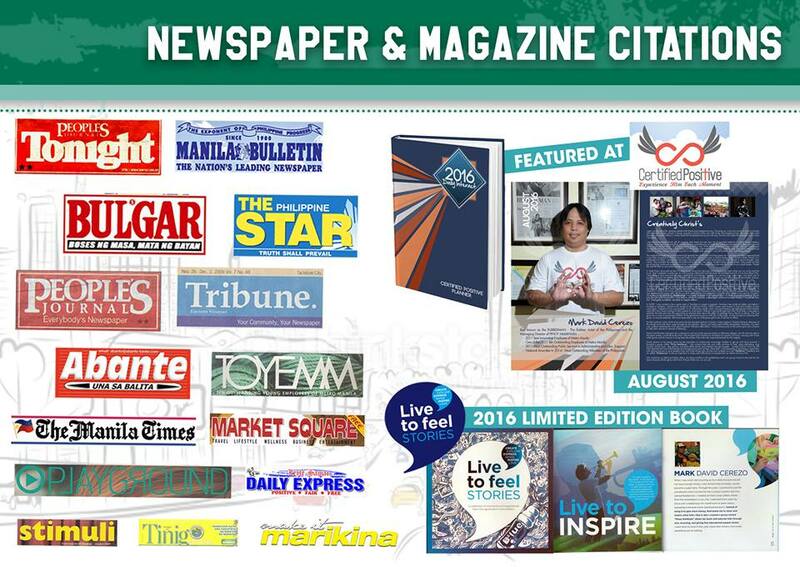 Get inspired and empowered. Book him on your next learning event! 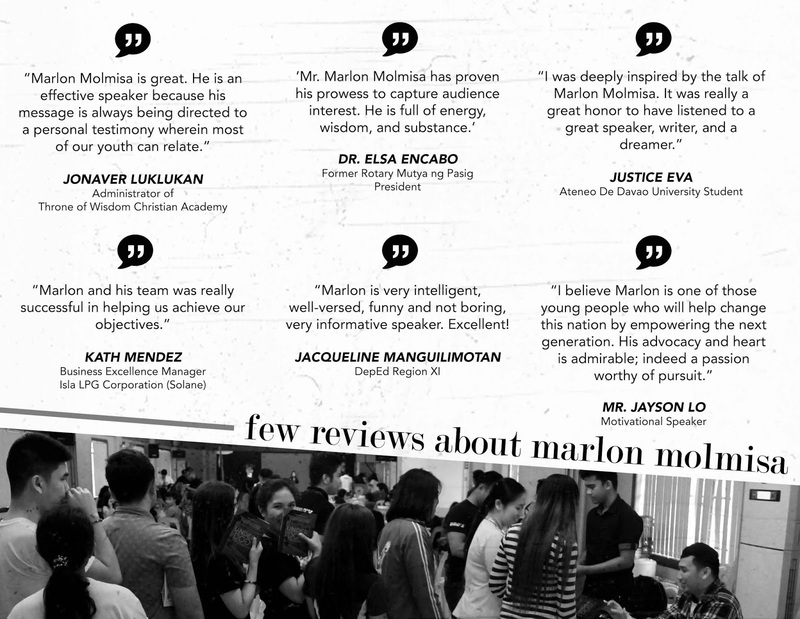 To know more about Marlon's talks and programs, you can e-mail: mzonetrainingph@gmail.com or contact 0927 497 5285 / 0906 211 7256. You may also fill up the Booking Form below. It's our pleasure to serve your team! FOR "SPECIFIC DETAILS" OF YOUR EVENT, YOU MAY FILL THIS ONLINE TNA FORM. Work life balance is one of the most searched topic for corporate speaking engagements and training. It is because companies want their employees to increase productivity while decreasing stress and possibly the rate of turnover in the organization. 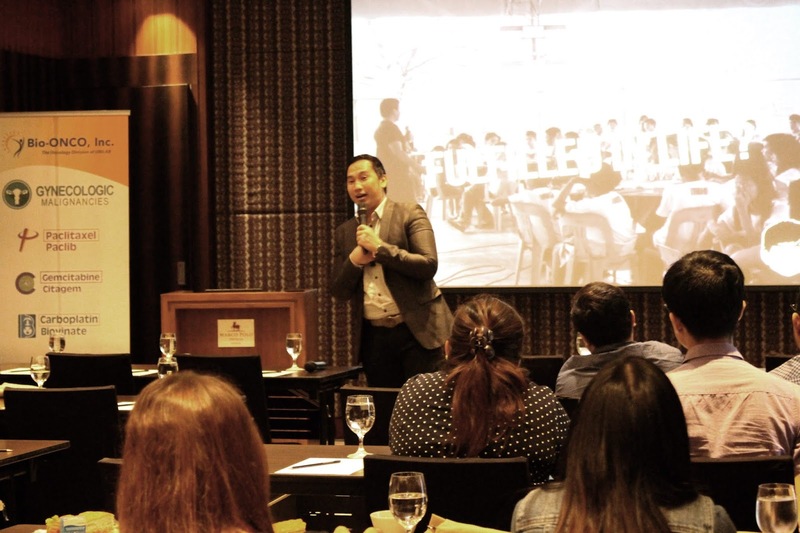 MedSpeak Inc. recently invited Marlon Molmisa to speak about Work and Life Leadership for Unilab which is the leading pharmaceutical company in the Philippines for about six decades already. 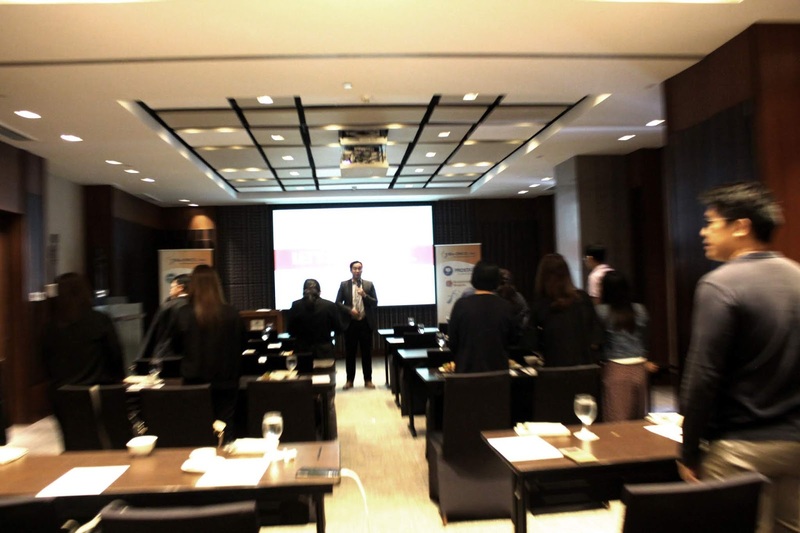 The event was held last December 8, 2018 at Marco Polo Hotel which was attended by about 25 new Oncologists. 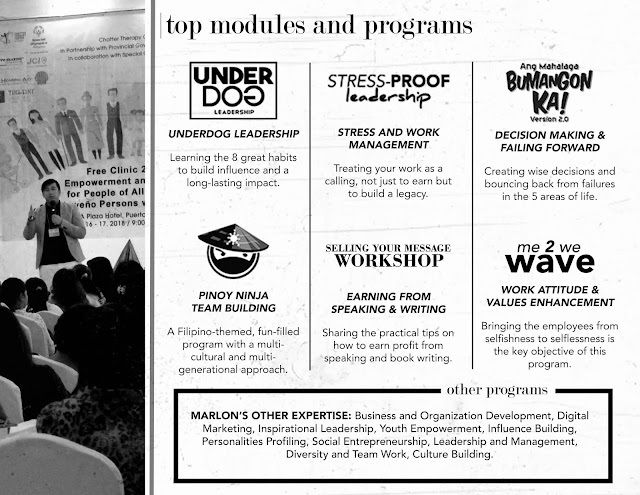 Marlon Molmisa initially discussed the traditional model of work life balance and why is it impossible to attain. Instead, he explained that the new model discusses Work Life Integration. He emphasized that most of the time, we get stressed at work because we consider our work as work. Work should be part of our human system, as vocation and calling. We have to put so much love on what we are doing for us to enjoy every moment of it. He stressed that life is about priorities and said that to attain work-life integration it is necessary to know one’s design, motivation, direction, and destination. “It was very inspiring and enlightening about myself, my work style, and my personality and how to deal with stress.” - Dr. De Veyra from UST Hospital. 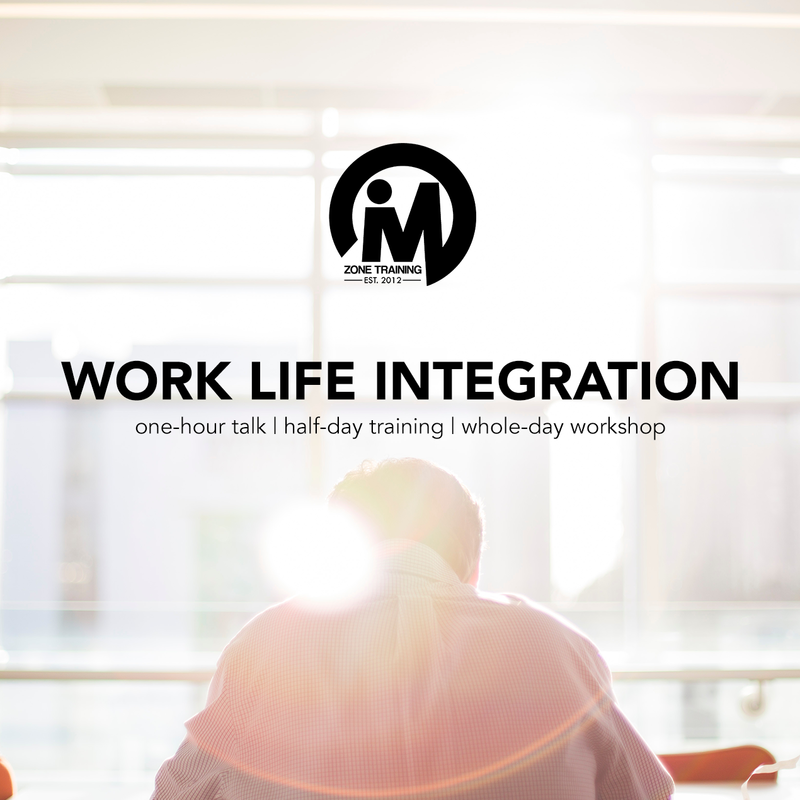 If you want to bring Work Life Integration to your organization, you can message Mzone Training at mzonetrainingph@gmail.com. 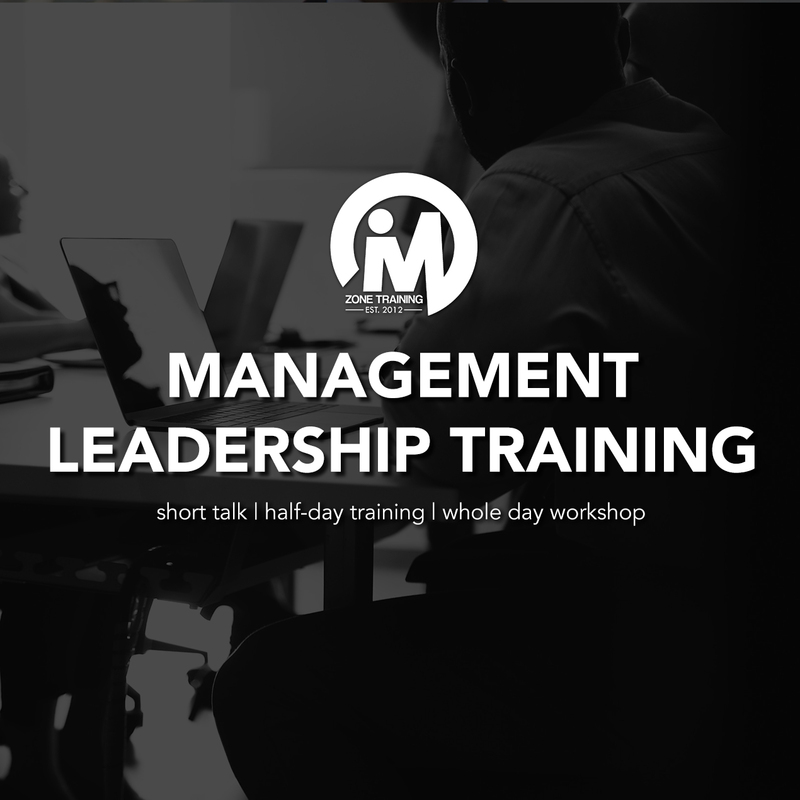 Leadership and management are two different things, albeit both are necessary in an organization. Management deals with the process while leadership is focused on the people. It is, therefore, important for those who are in top and middle organization to strike the balance between the two. Mzone Training’s Leadership and Management Training program aims its participants to be equipped with key competencies such as decision-making skills, problem-solving skills, influencing, conflict-resolution, and effective communication skills. MARLON MOLMISA is an emerging leadership and corporate speaker who has been in training and people development industy for more than 7 years. He is the Founding President of Mzone Training, awarded as one of the best workshops providers in the Philippines (2013). 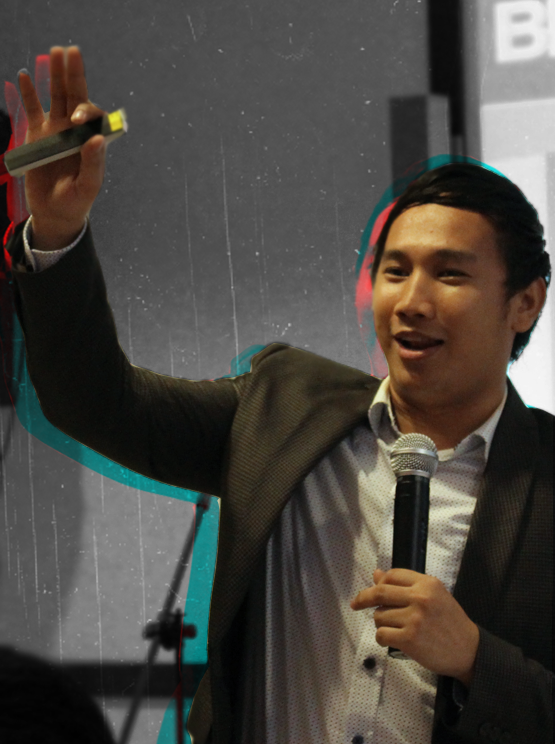 He is also the Lead Firestarter / Founder of Elevaxion Inc, a global NGO for servant leaders and speakers. Since 2014, Marlon has pioneered and developed several businesses across the Philippines from various industries such as health and wellness, gas, retail, construction, publication, and general services. How was your 2018 sales? Were you able to meet or exceed your sales quota or not? If YES, kudos to you and your sales team then. If NOT, then we have a lot to talk about. You know what? Even if you had met your targets for 2018, I'm very sure you had planned to exceed it, hadn't you? Now, if it was just met and not exceeded, what happened? What happened wrong? What didn't happen? 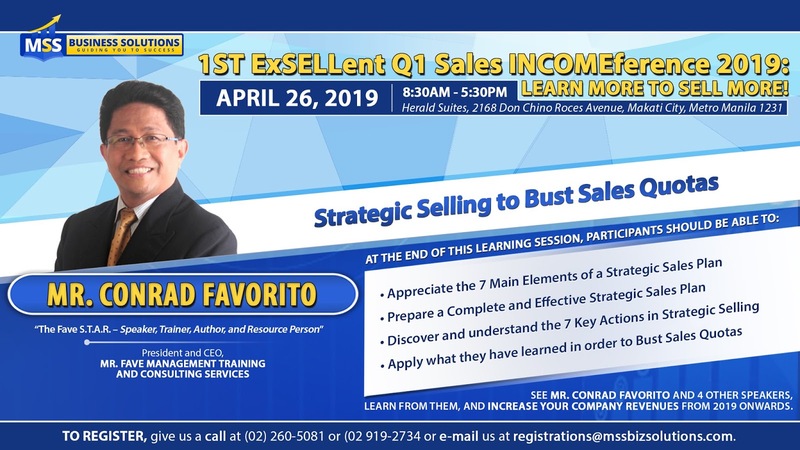 Make sure you educate, equip, and encourage your sales force with the right and sufficient knowledge, skills, and attitude that are practical, success-leading, and results-oriented. Send them to a sales learning event highlighted by highly-experienced, undoubtedly time-proven, and very credible practitioner-resource speakers who haven't only been there and done that but are also go-to speakers, trainers, and consultants, in best practices in sales in the Philippines. We'll take care of putting them in a learning experience where they learn an have so much fun at the same time. 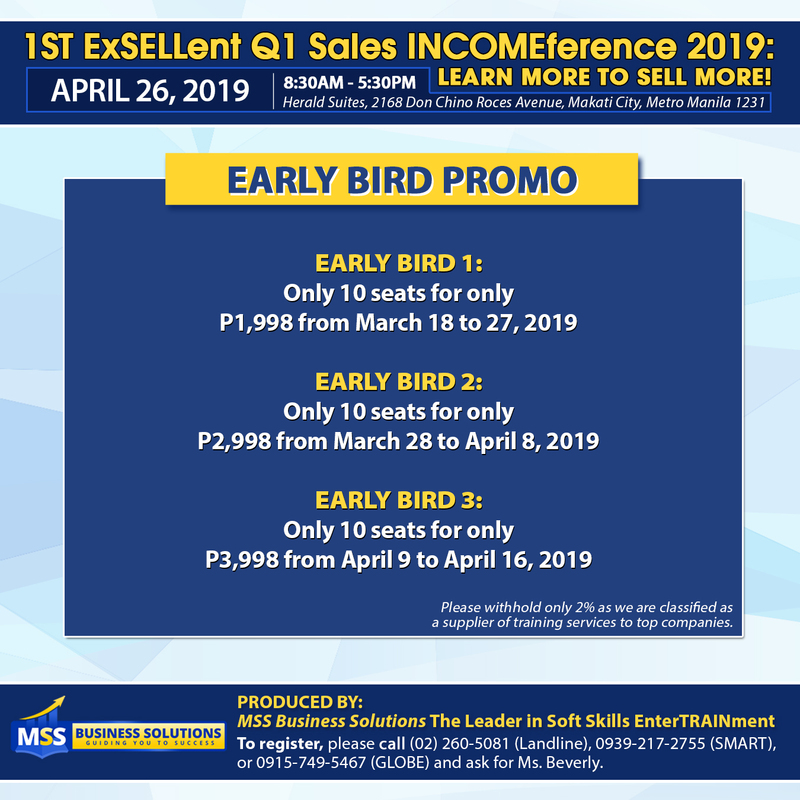 Join MSS Business Solutions' Sales Training in the Philippines this 2019! TO KNOW MORE ABOUT MSS BUSINESS SOLUTIONS TRAINING, WATCH THIS! 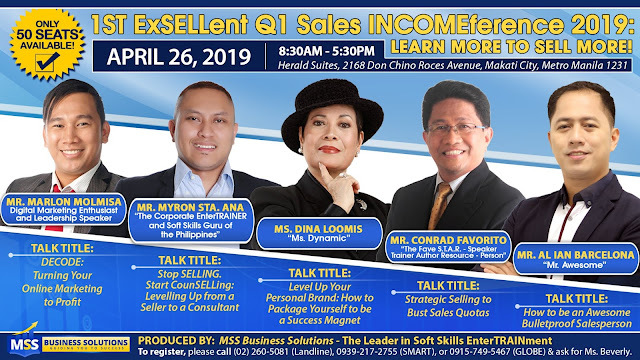 Lead Firestart and Co-Founder, Elevaxion, Inc.
President and CEO, South East Asia Speakers and Trainers Bureau, Inc. FILL OUT THIS FORM TO GET THE DETAILS AND JOIN!